This One Bedroom apartment is the largest of the one bedroom units. 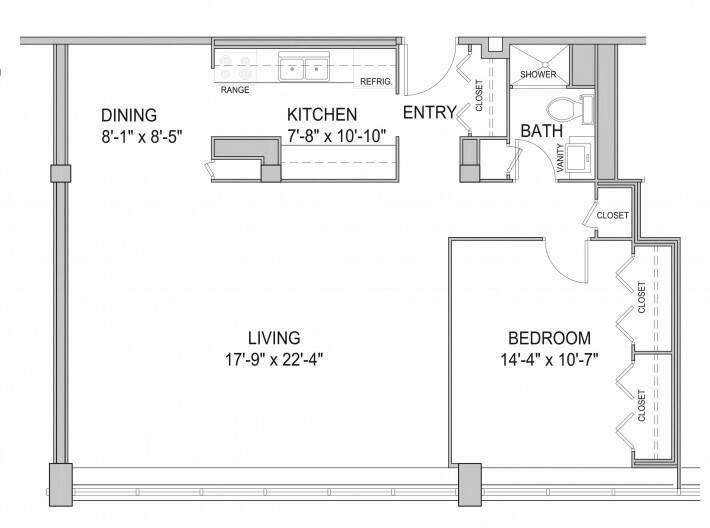 The unit features the largest living room and kitchen, for the one bedroom floor plans, as well as the largest bedroom. This residence has a nice closet off the entry and a 1 bath. This floor plan is the mirror image of 1G.